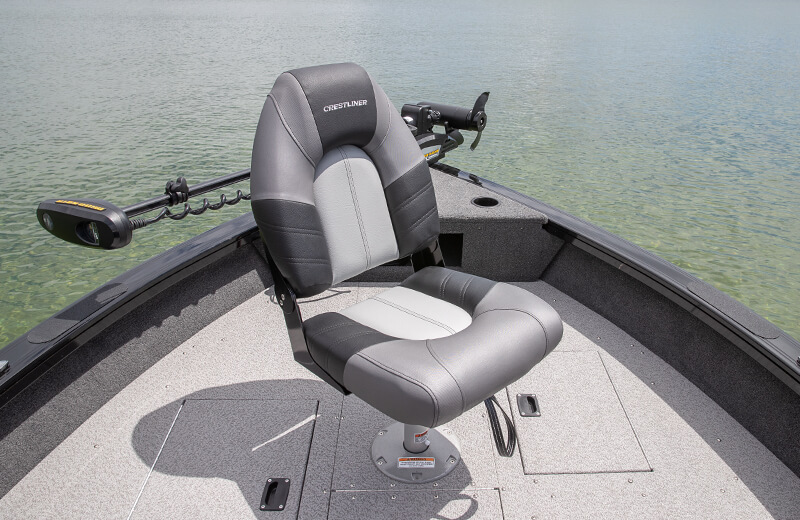 A Revamped Way To Get On The Water. 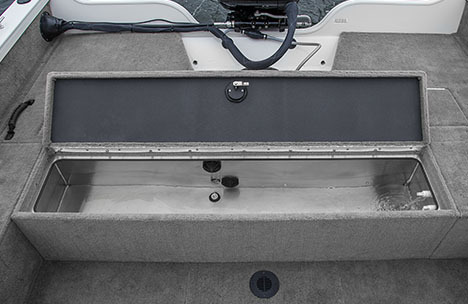 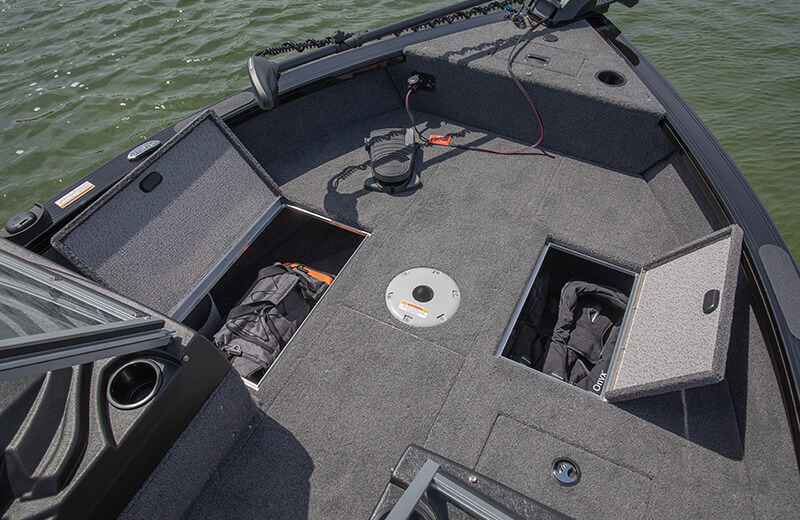 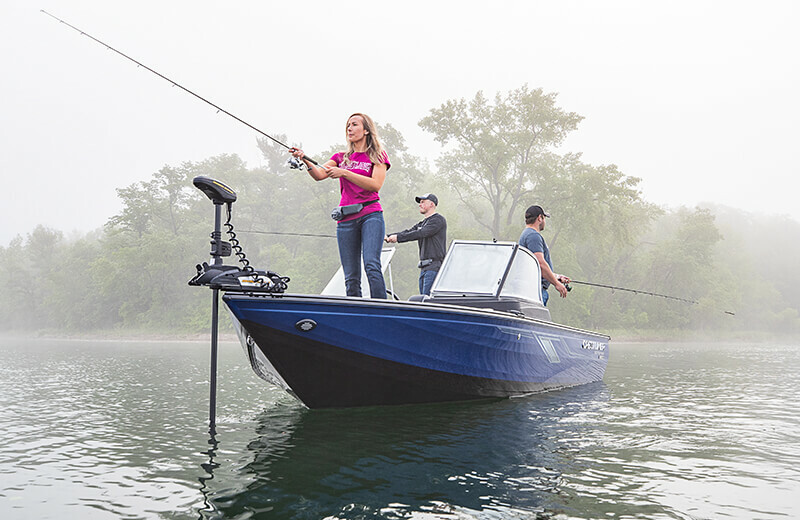 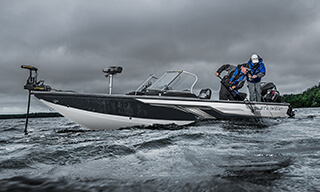 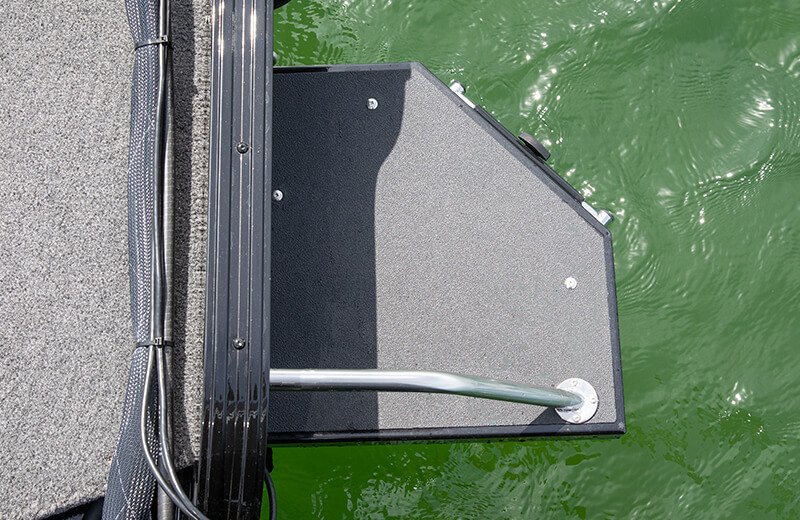 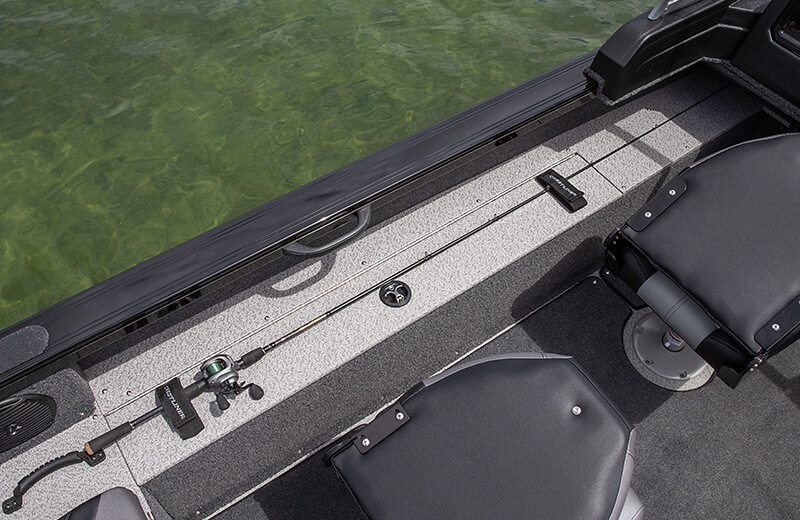 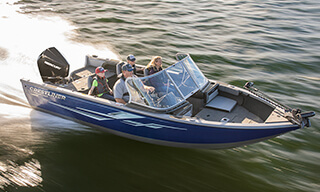 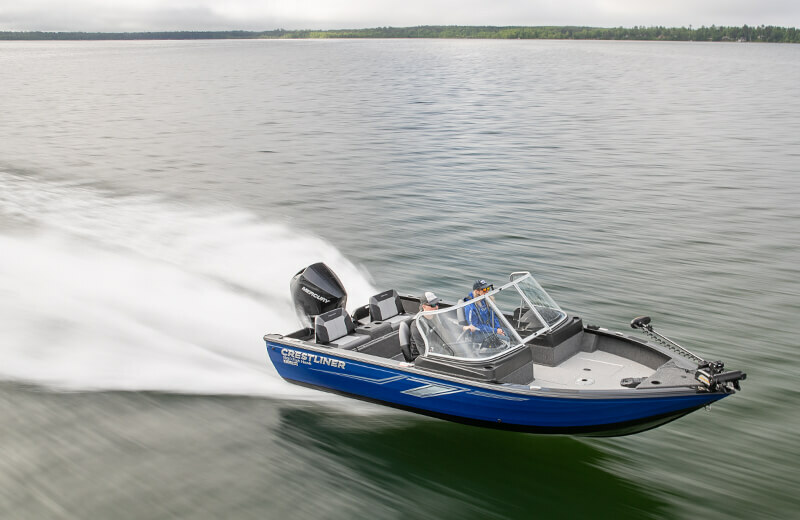 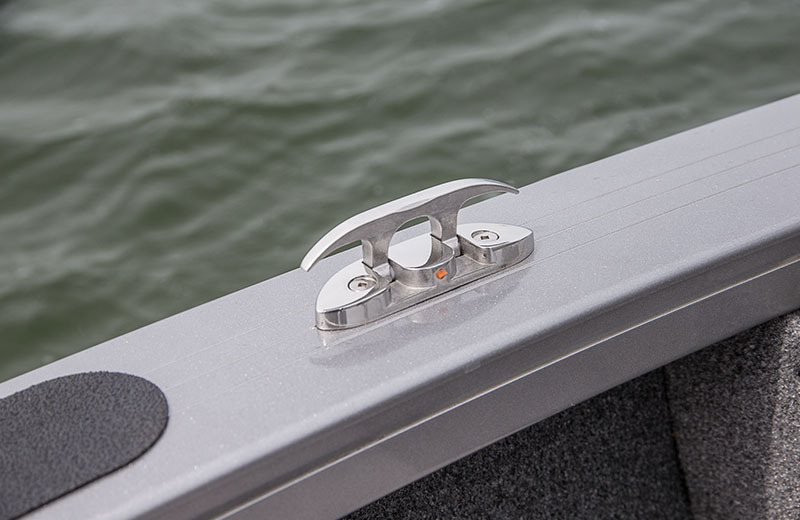 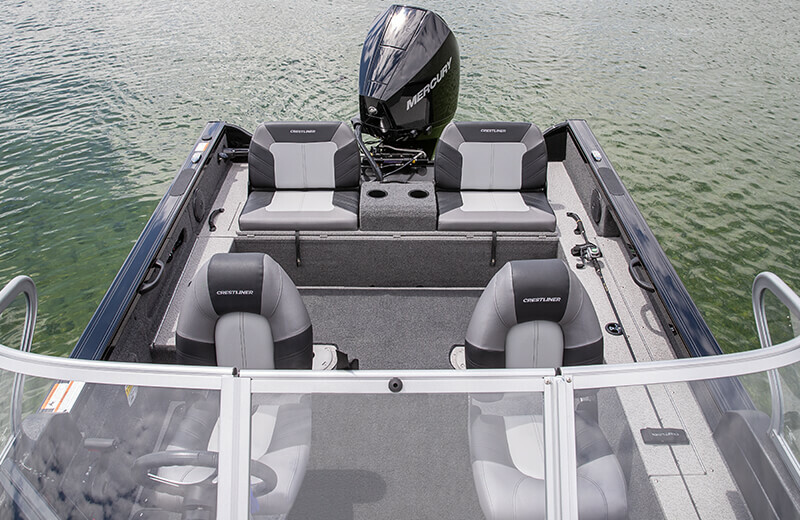 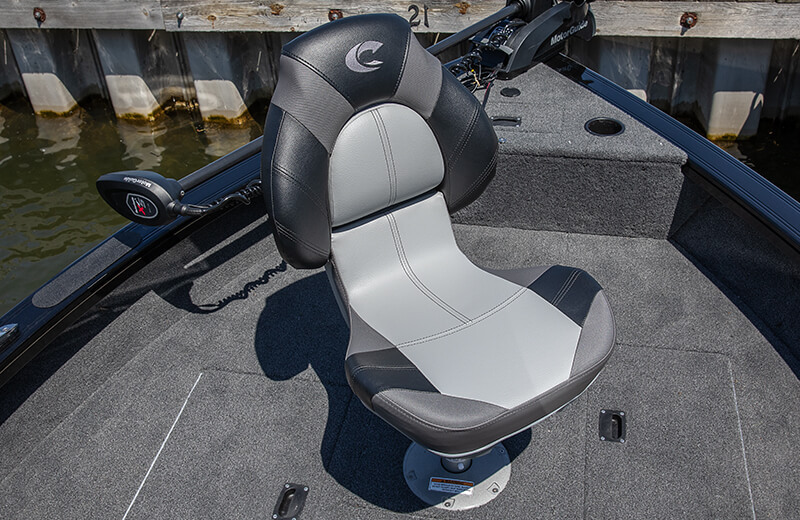 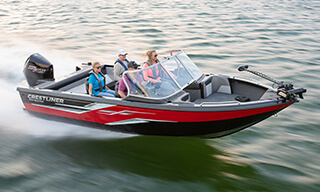 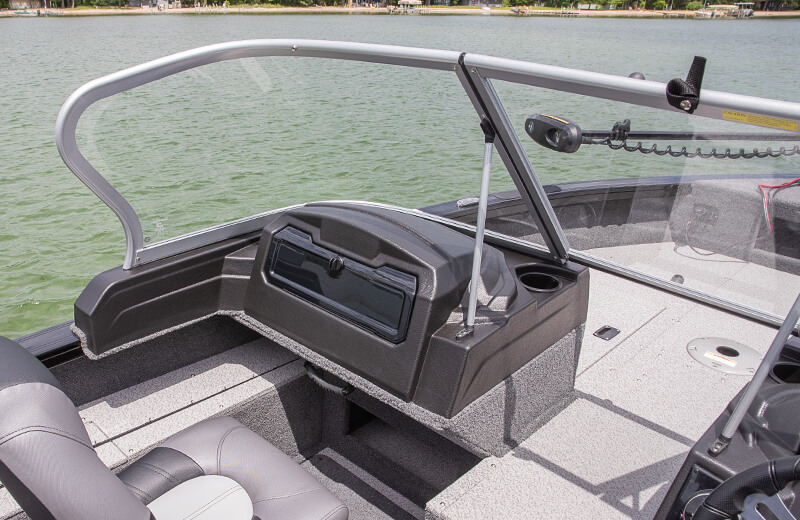 A large bow casting platform makes for easy maneuverability onboard. 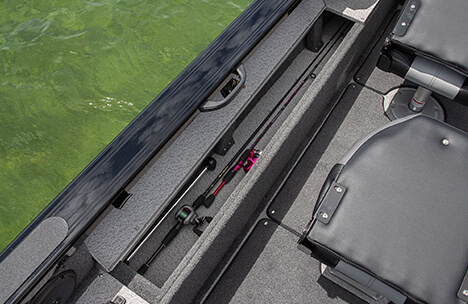 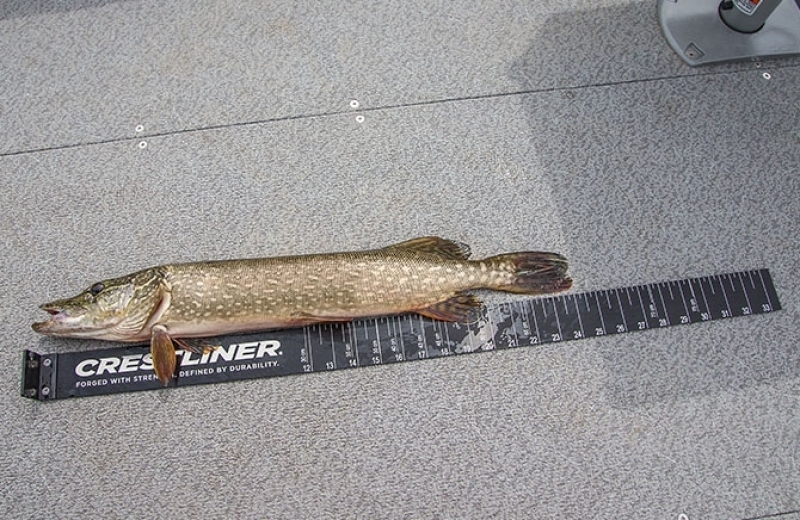 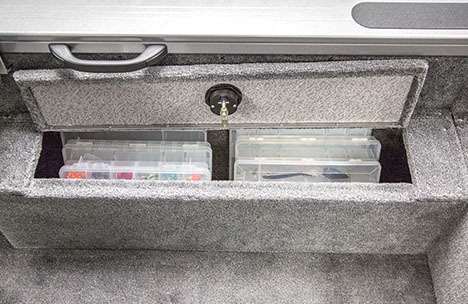 Deep storage compartments stow plenty of gear and livewell keeps your catch fresh. 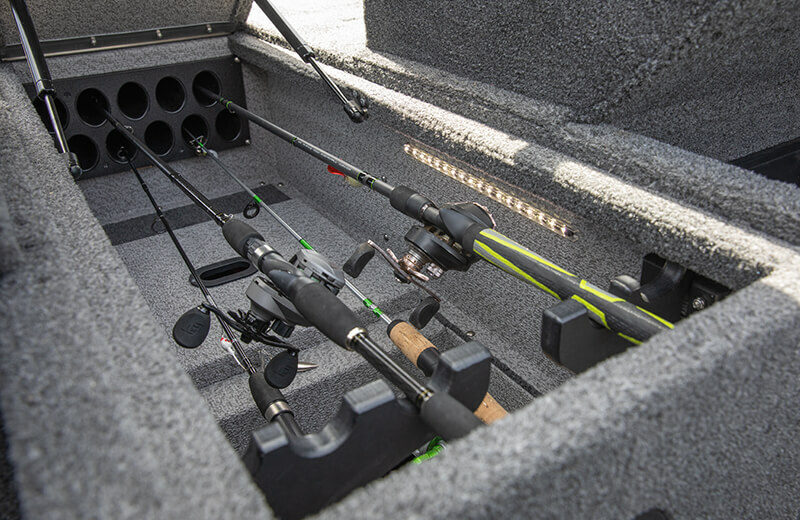 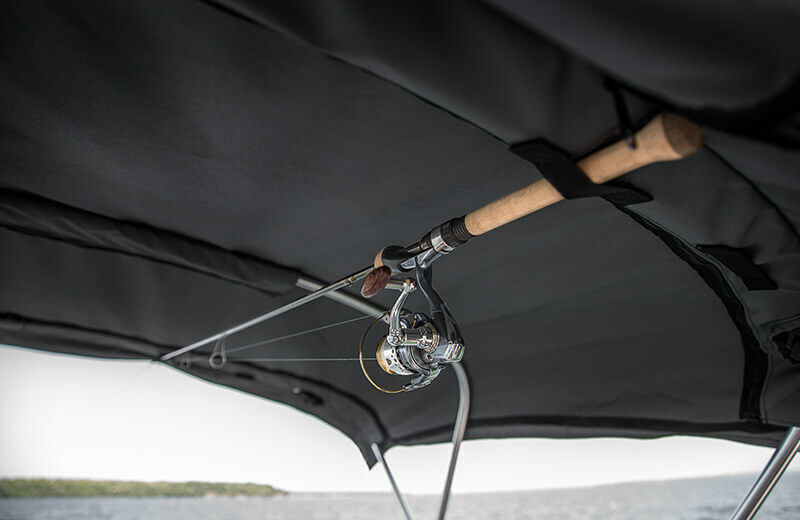 The portside rod locker holds rods up to 9 foot rods, and includes topside rod straps to keep things secure when on the move. 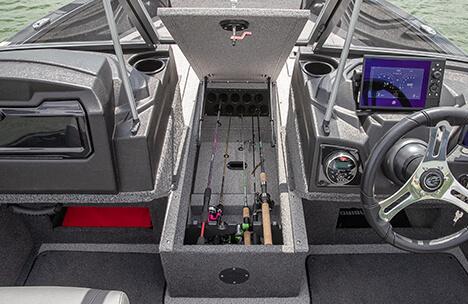 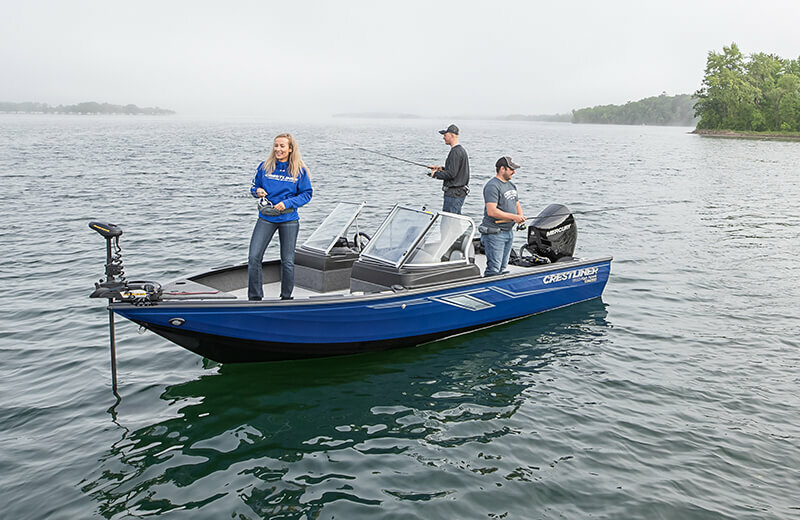 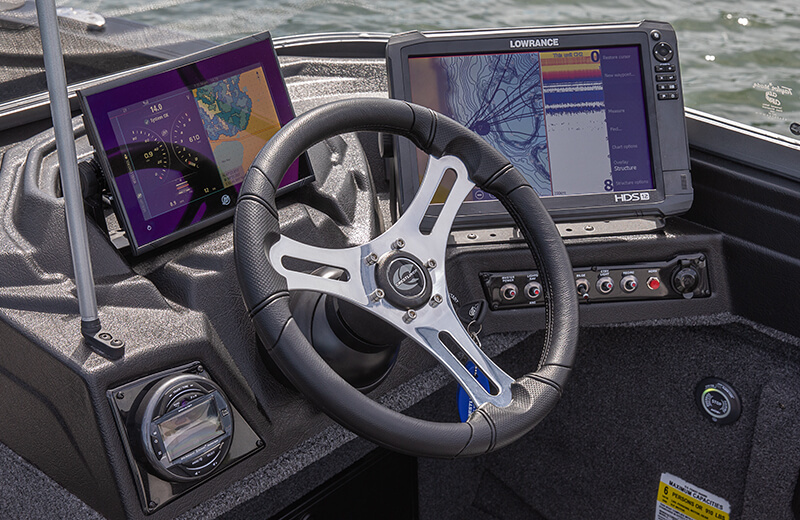 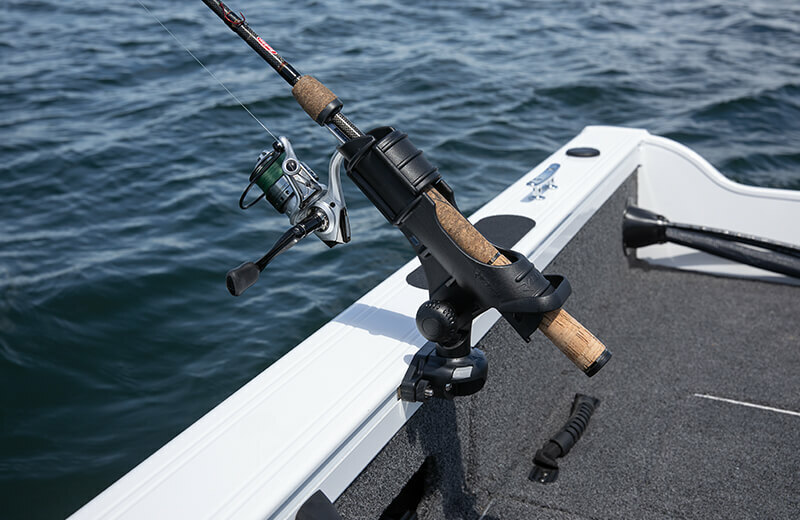 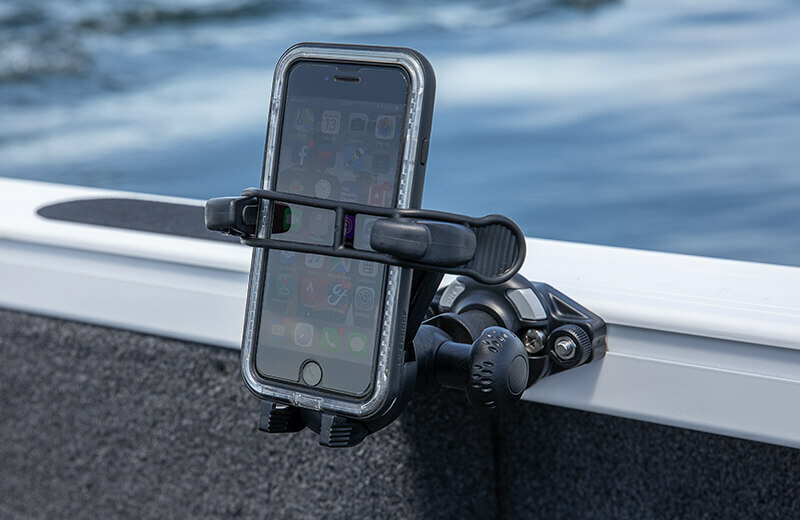 Locking center rod storage holds up to ten rods and its deep recess stores your optional trolling motor battery and charger. 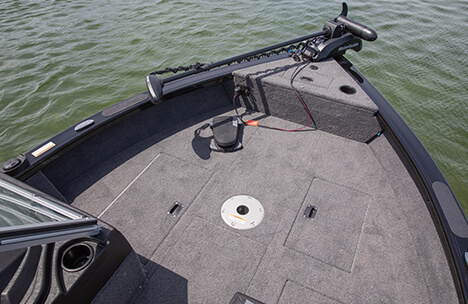 A deep 17-gallon aerated stern livewell complete with timer, divider, and separate lids for the livewell and baitwell keep catches in prime condition. 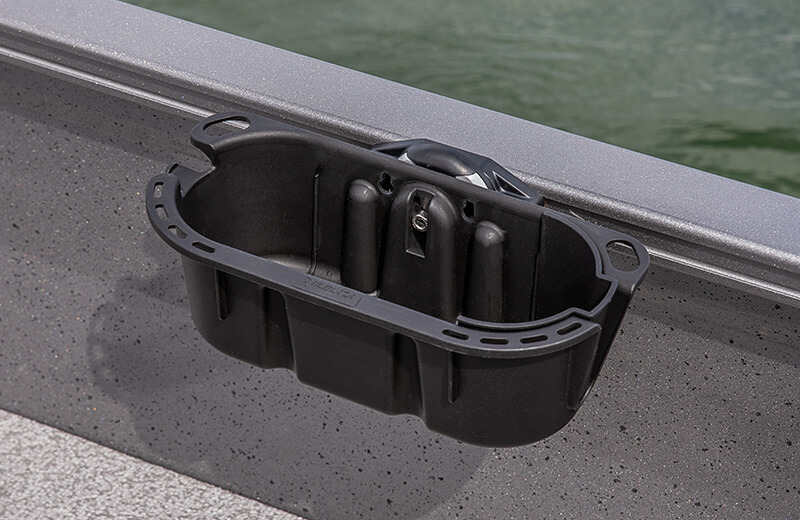 Baitwell includes bait bucket. 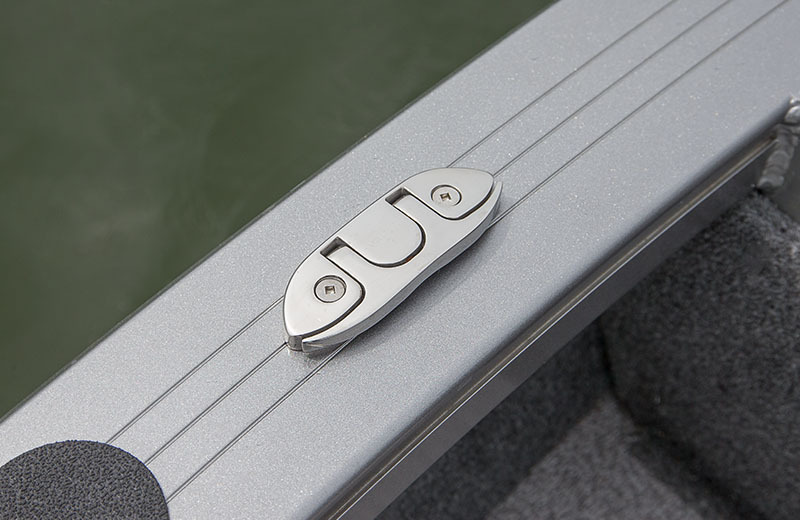 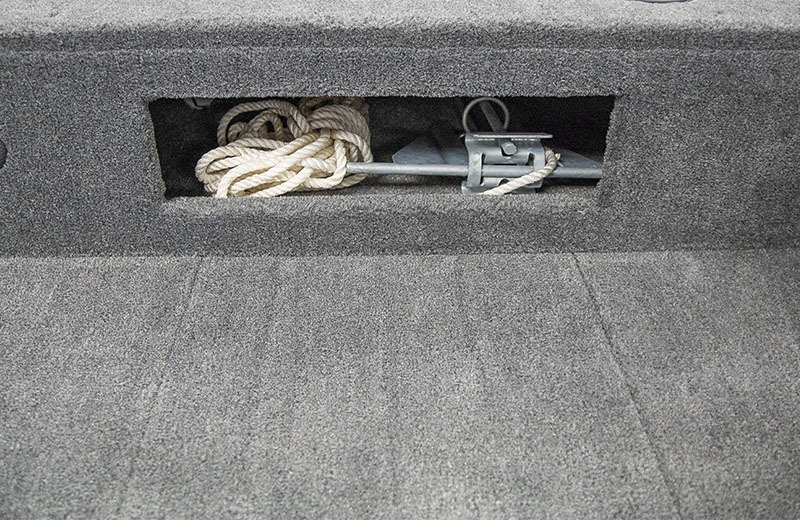 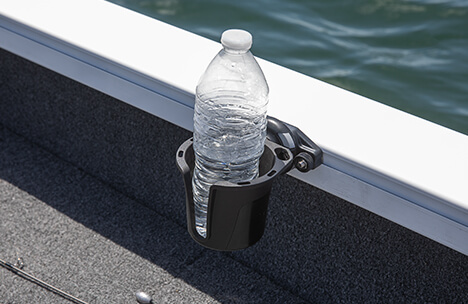 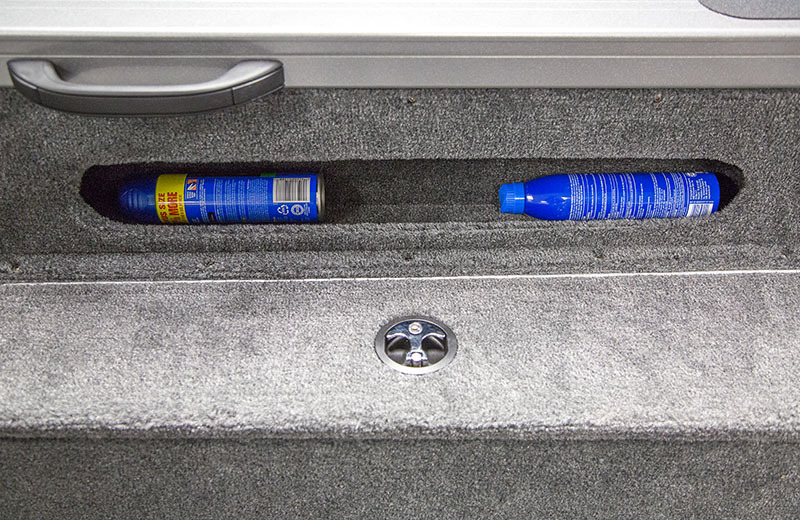 Keep fishing tackle, life jackets and anything else secure with the spacious, easy-access starboard storage compartment. 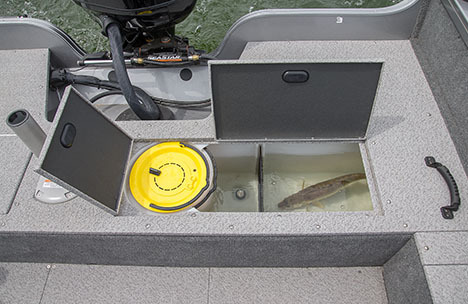 The 1950 Fish Hawk features an 11-gallon aerated port livewell right where you need it, keeping your fish fresh all day. 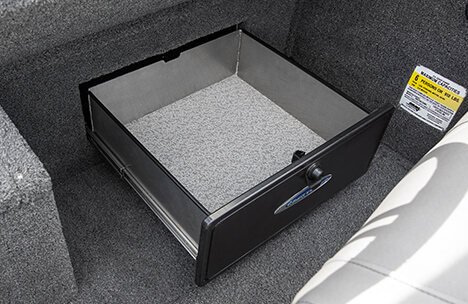 Get additional stow space for your personal belongings, electronics and more with the optional under console storage drawer. 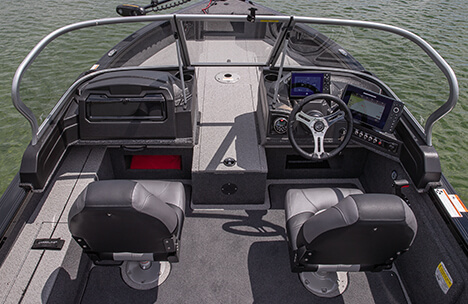 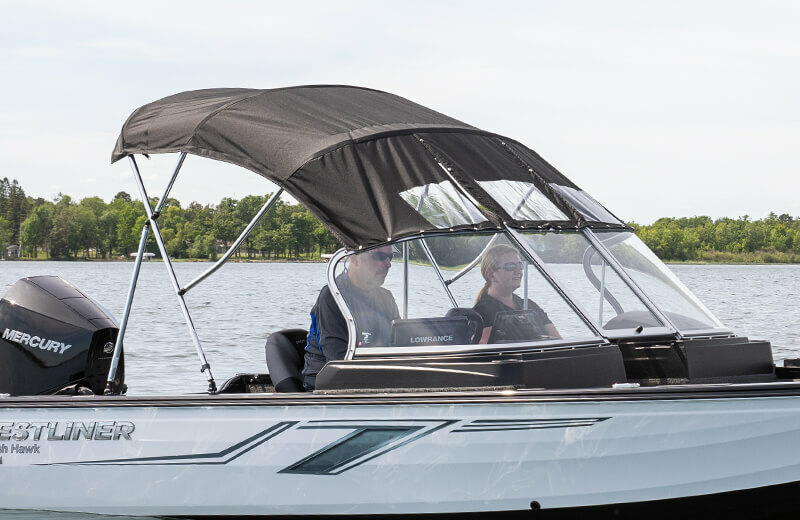 The optional walkthrough windshield with dual consoles separates the spacious bow and cockpit, giving you a comfortable ride when you want it and mobility when you need it. 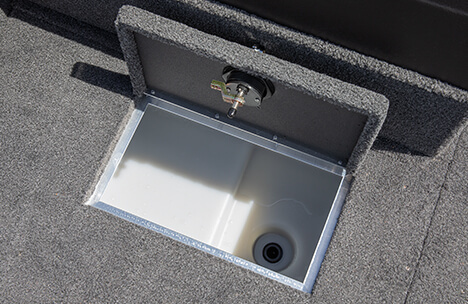 Keep your catches fresh through long days on the water with the stern livewell recirculating system option with light. 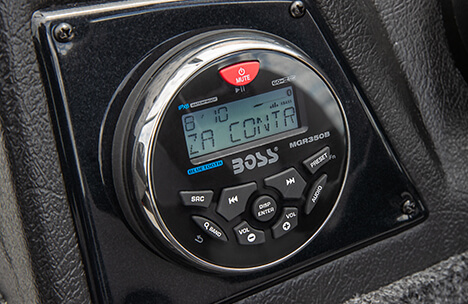 Upgrade to a Boss stereo with USB charging port and bluetooth capability or a Dual stereo with USB charging port, large color display, bluetooth and Pandora capability. 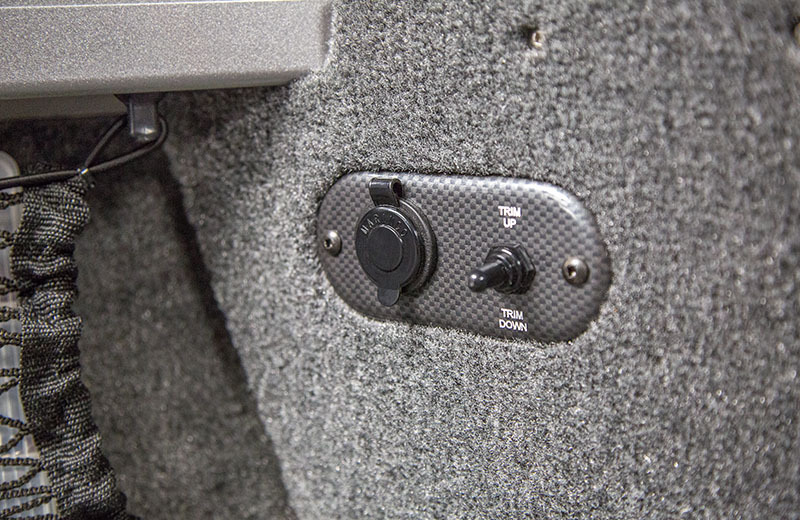 Boss Stereo shown. 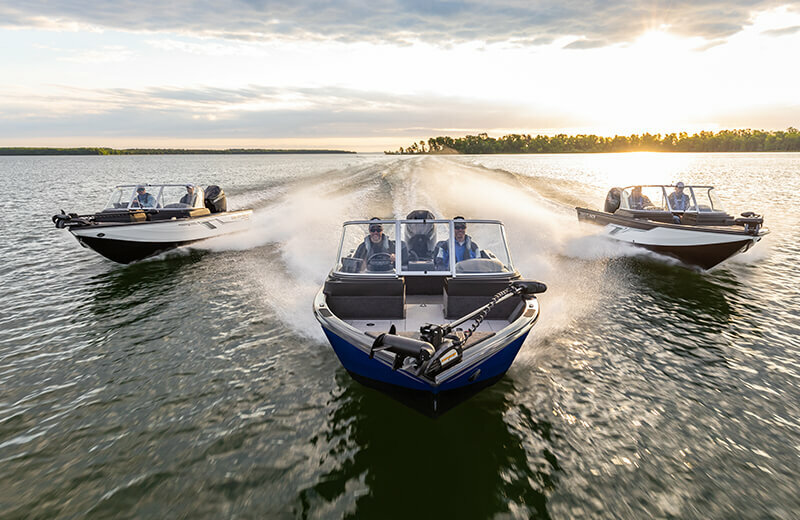 Don't let the elements slow you down. 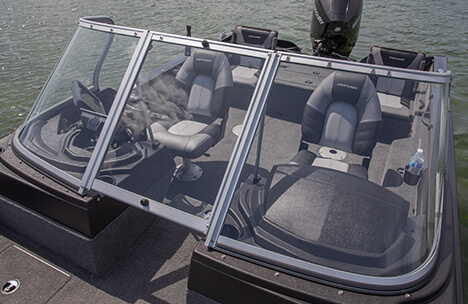 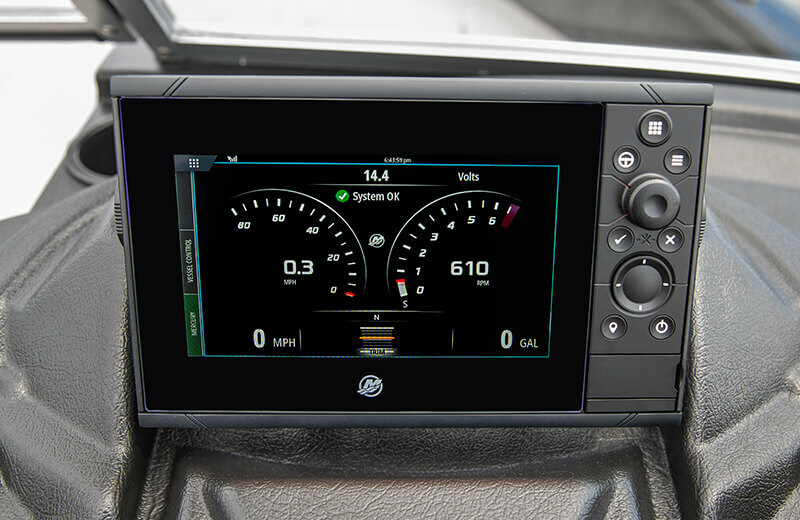 Go further with the full enclosure system. 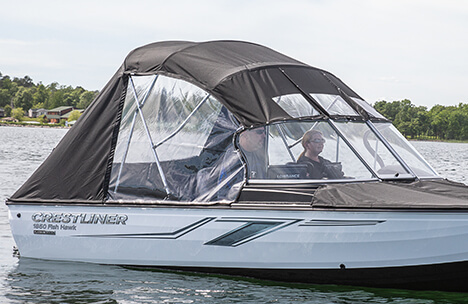 Includes folding suntop w/boot & draft shield, side and aft curtains and tonneau cover. 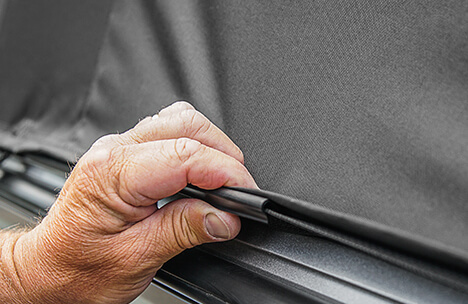 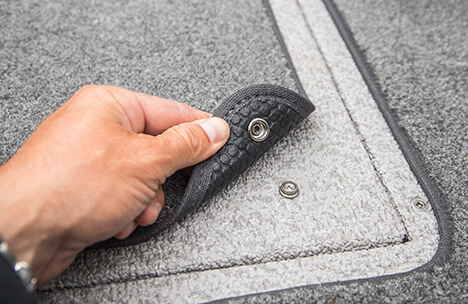 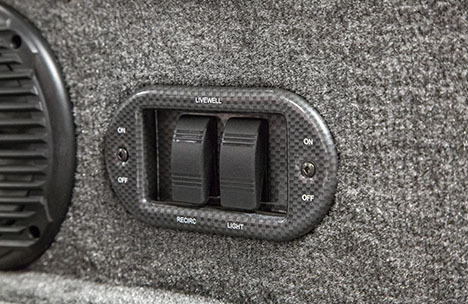 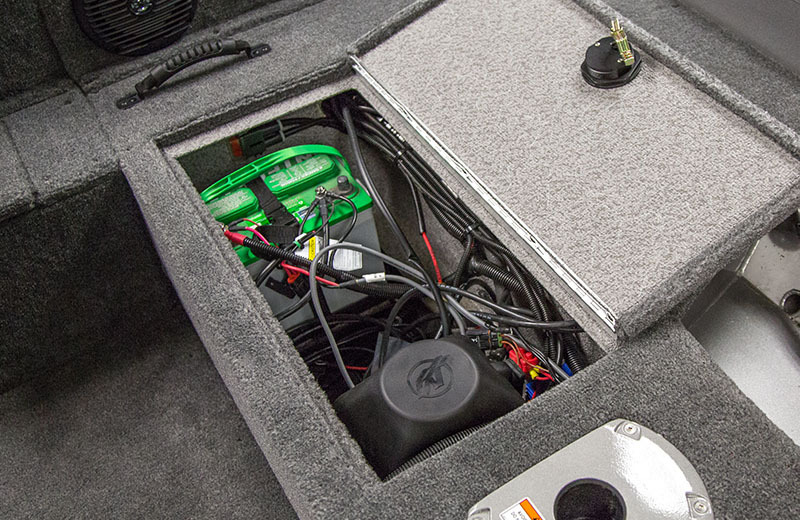 For extra comfort underfoot, add snap-in carpet runners, custom-fitted to your Crestliner. Available for models with vinyl flooring.